A NEW 20 mph zone is being introduced around a Pound Hill primary school after concerns were raised over the speed and amount of traffic outside the site. Speed bumps and double yellow lines will also be brought in as the county council attempts to protect pupils and pedestrians outside Milton Mount Primary School. 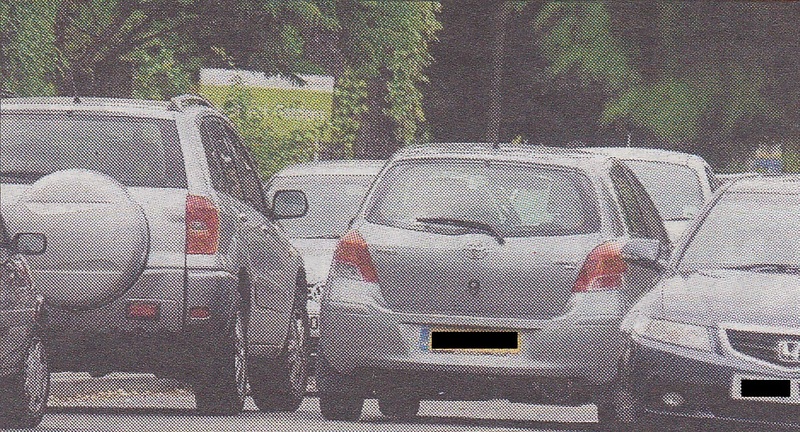 Whenever children are dropped off or picked up, Grattons Drive becomes dangerously clogged up. But, while they welcome the reduced speed limit, some parents are worried the yellow lines will leave even fewer places to park. Double yellow lines are being painted on sections of Grattons Drive, Farmleigh Close, Home Close, Pembroke Road and- Peterhouse Parade, while a single yellow line will be painted on sections of Farmleigh Close. With the school due to increase in size, Mrs Bagshaw cannot see an end to the parking problems and she also voiced concerns about delivery lorries performing three point turns having visited the shops on Peterhouse Parade. She said: “There are definitely problems with lorries – I often see them in the morning. Emma Drew would like to see a lollipop lady employed, as well as a 20mph speed limit. She said: “Traffic is a big problem outside our school. Something definitely needs to be done about it. “People park irresponsibly and dangerously and people drive far too fast along Grattons Drive.” The school has made efforts to encourage parents to cycle to school with their children. Head teacher Anne Holmes said: “Our school and parents work closely together for the safety of all members of the local community “We welcome any measures that support the safety of our children on their way, to and from school. The speed bumps will be in the shape of a road hump spanning the width of Grattons Drive and two speed cushions, which have gaps either side, near Peterhouse Parade. A date has not yet been set for when the work will start, although it will be in this financial year. This entry was posted in Parking by admin. Bookmark the permalink. 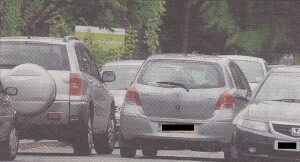 Double yellow line in Grattons Drive is a crazy idea. Where are parents going to stop in order to drop off and collect their children? The authorities may like to consider how to open the school grounds to parents cars before and after school to allow them to drop off and collect. I’m sure that would be possible to achieve. They may, also, like to consider providing school buses that wait at a supermarket car park, one for each nearby school. This would have the advantage that parents who work and have more than one child and more than one school to visit need only go to one venue, saving money and congestion. If a small charge were made, the supermarket, Metrobus and the parents fuel bill would benefit.